I’d like to bring a little more skimbaco to your life and my biggest goal with Skimbaco blog network is to inspire you to live life to the fullest. To me skimbaco is skiing (skimba) in Colorado (co), island hopping in the Turku archipelago, shopping in New York city, cooking a big family dinner for my family every night… above all: seeing the beauty of right now, right here, where ever that might be and enjoying every minute of it. I love to travel, well, I like to move around to be on a constant staycation, but I understand that my lifestyle isn’t for everyone. It’s sort of crazy, and I admit. 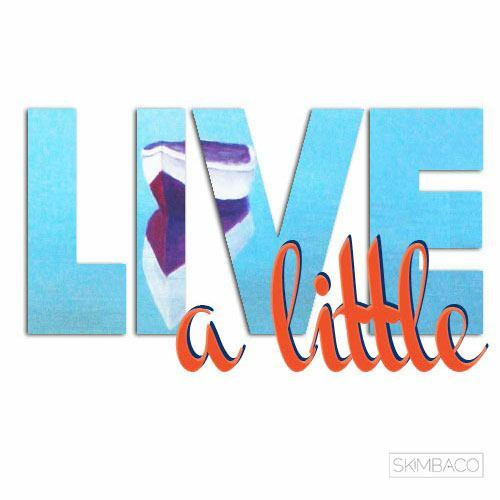 I like crazy, but you don’t have to like crazy to live Skimbaco Lifestyle. All you have to do is to find what makes you happy, what are your little things in life that all together make your life amazing. Live a Little Monday series is all about small ways how you can live life to the fullest. Little tips how you can be more adventurous, test your limits, do something fun. 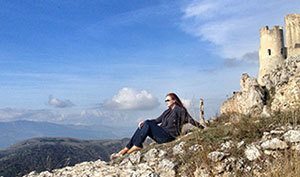 Living life to the fullest doesn’t mean doing grand things every day, and traveling around the world – it’s about enjoying the little things in everyday life. 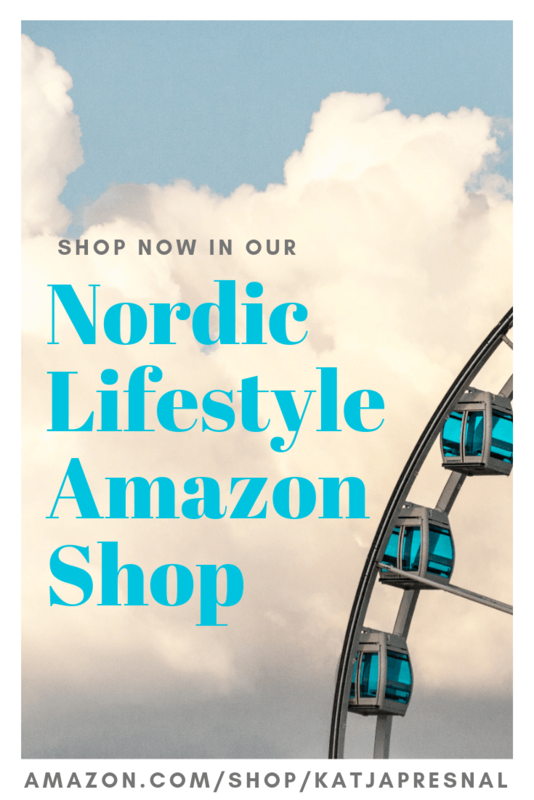 I invited some of my blogger friends to join me, and if you have a blog – please join us in inspiring each others to live a little. A friend of mine once said that every time she has a big life decision to make, she needs to feel the sand under her feet, she needs to just have her walk on the beach, to feel inner peace, to feel like herself. Sometimes she thinks about life during the walk on the beach and since she is able to feel peaceful, she is able to make decisions on the beach. Sometimes just getting away helps, and she feels rejuvenated when she comes back home. 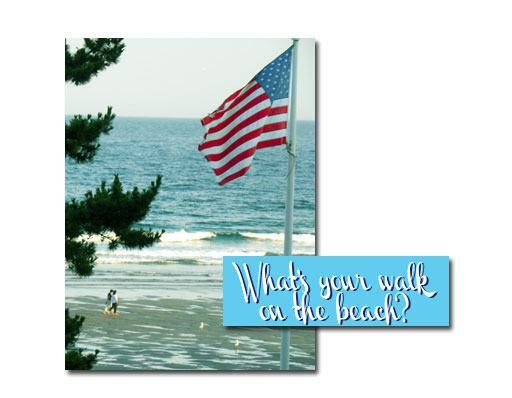 Define your “walk on the beach”. It is a specific place? Is it any specific scenery, like a mountain view? Is it doing something specific, like cooking? When do you feel you can breathe free? You feel the most beautiful, capable or happy? Live a little and define your “walk on the beach” today and start thinking how you can bring “beach” to your every day life. Join us! Write a blog post how you live a little and link it up to the Linky below. You can also get the InLinkz code to post the Linky on your site as well. Pingback: Breathing Deep, What’s Your Walk on the Beach? I wish I could have a real walk on the beach every week but being reminded to stop and think about the good things is a nice reminder to take some time to myself more often. I just can’t wait to be able to walk again, normally and without assistance. I long for just a walk in the neighborhood. To hear the birds and look at the flowers and feel the wind on my face, maybe a little sun… sounds divine! I know Rajean… and you just said one of the realizations of life: you can have what you absolutely want and love (you have your mountain view) but you can’t have it all (sandy beach there too). It’s the having the cake and eating it too problem. And the key to happy life is to be happy for what you have. It’s funny that you ask us to define our ‘walk on the beach,’ and in the same sentence you question if that might be a mountain view. My facebook post last evening was a reflection of our wonderful spring weather and how I feel so lucky to call Colorado home. But I wondered if it was too much to ask if one day I could see an ocean and a white sandy beach at the base of our lovely mountains. I love participating with you in this new series, Katja. Bravo! I love water, beach, ocean… My ideal would be ON a boat looking the shore, but I’ll take it in any form :) There is nothing like it. My Walk on the Beach is time to sneak away to the coffee shop, where I can bask in the aromas, the sunlight coming in the windows, and the QUIET. It’s my favorite little escape. Geez Katja, what a fabulous way to live a little. Your posts are usually such thought provokers I love it. You know sometimes I feel like there is never really a place I can get away to collect my thoughts and rejuvenate!! I think most women, and probably some men, feel that way much of the time. I really like working out and I actually find myself thinking about a lot of things while I do. My walk on the beach is actually sitting on the beach with my family. I love the way the sun and the sand feel, the sound of the the ocean and the joy we get from doing it as a family.